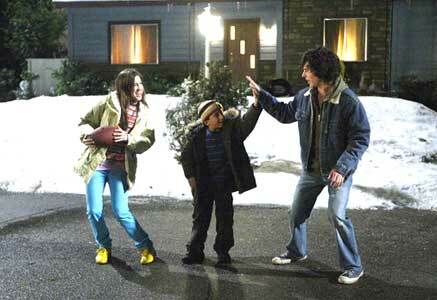 Charlie McDermott wears black high top Converse “Chuck Taylor” All Stars in the series. The Heck family, left to right: Mike, Frankie, Sue, Brick and Axl. There’s nothing quite like an older brother. 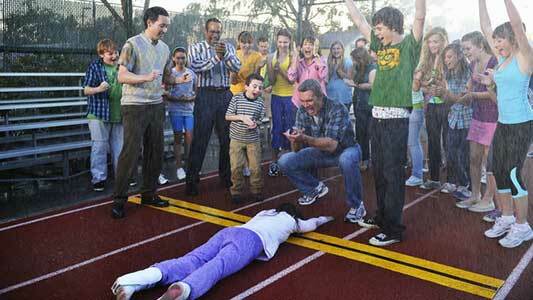 In “The Middle,” an ABC show about a middle-class family living and loving together somewhere in the middle of America, the older brother Axl is the perfect mixture of humorously obnoxious and frustratingly lovable. In a family full of oddballs—the youngest brother whispers and beeps to himself, the sister is almost delusional optimistic to a point where it can be life threatening—Axl can be seemingly normal; he is a relaxed teenager adjusting to college life away from home, trying to figure out what to do with his life while not appearing too caught up in and worried by boring, grownup stuff. At times his character seems useless and marginal, just a body lying around the messy house, eating any food it can find in the cupboards, and moaning about chores or laundry or life in general. However, he always emerges from his cave of teen angst and slothfulness to join force with his family in whatever battle they are currently fighting, big or small, internal or external. Axl and Sue seated on the roof of their house and inside. 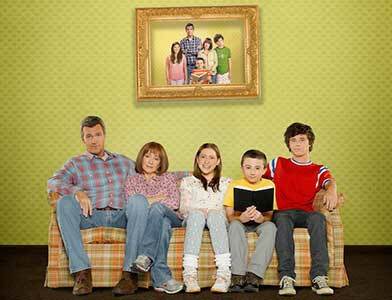 The episodes of “The Middle” focus on the importance and lastingness of family values; the Heck family is extremely bonded and supportive of each other, despite the rifts that pop up throughout each season. Each family member brings a different humorous perspective to the episodes, and Axl’s is a wonderful mix of laid-back sarcasm and undeniable care for his siblings and parents. Despite being the typical lazy and teasing older brother, he is truly good at heart, showing moments of undeniable kindness when it comes to the well being of his family. Axl spends a day at his father's quarry business. As a fraternity college boy, it is always wonderful to see the rare moments in which he focuses his energies into factors other than athletics, such as the girl he pines for, or his best friends from home. He also cares about his mother very much, though he would never say it to her face, helping her with work when she decides to go back to school, and letting her crash in his frat house when she comes to visit. Overall, Axl is the perfect balance of the All-American teenager, cool and confident, though compassionate and kind. And of course, to top it all off, he struts around in black, high top chucks. Axl cheers at the end of a race. Constantly referring to himself as “awesome,” Axl understands what it takes to truly care enough, without making it seem like he cares too much. His outfits match his personality, and so it is no surprise that this self-assured and relaxed young man is frequently seen in chucks, a shoe that resembles not only his chill style, but also his confidence and conviction. Axl with Sue and Brick.